Despite what the economy may or may not be doing, many fathers have come to adopt money-saving habits as part of their regular parenting routine. One of the ways some families have cut their grocery budget is to review the weekly fliers from their local grocery store. While this can be a time-consuming effort, fathers can use their parenting skills to turn the chore into a kind of game. By gathering the children around the kitchen table and asking them to call out the prices of their favorite items like cereal and certain snacks from various stores can make the process more fun. It will also be subtly teaching the children about the value of looking for a good deal, a skill that may stay with them in their adult life. 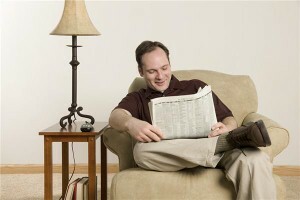 For added savings, consider subscribing to the major newspaper in the area on Sundays to clip the coupons. While it may be $5 an issue, the amount of money a person can save from one booklet of coupons may more than make up the expense.